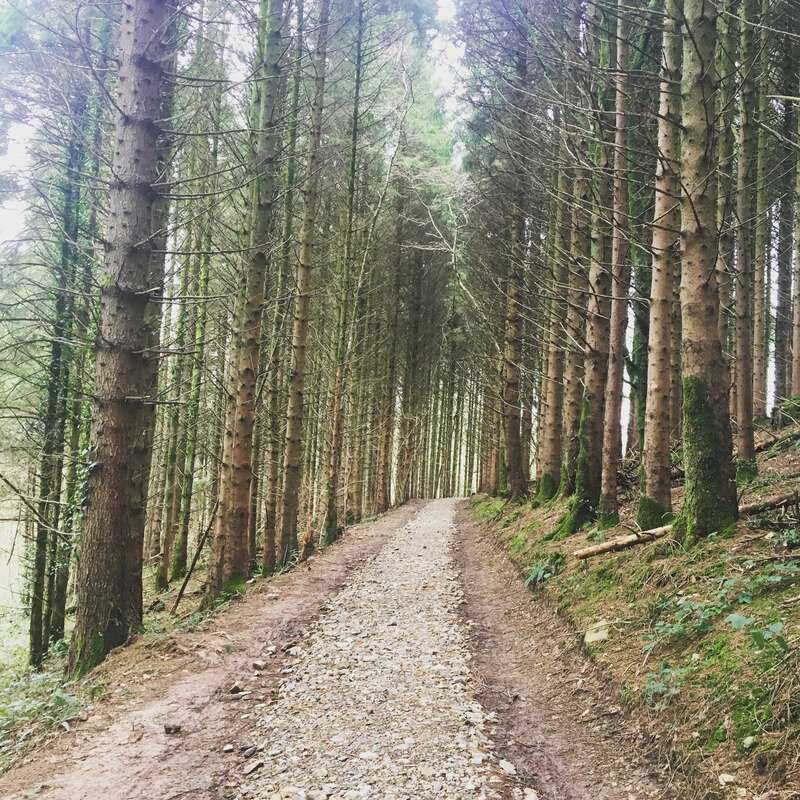 Earlier this month I was invited by Bluestone Wales for a four night stay on their holiday park and so naturally, I invited my boy to come with me. 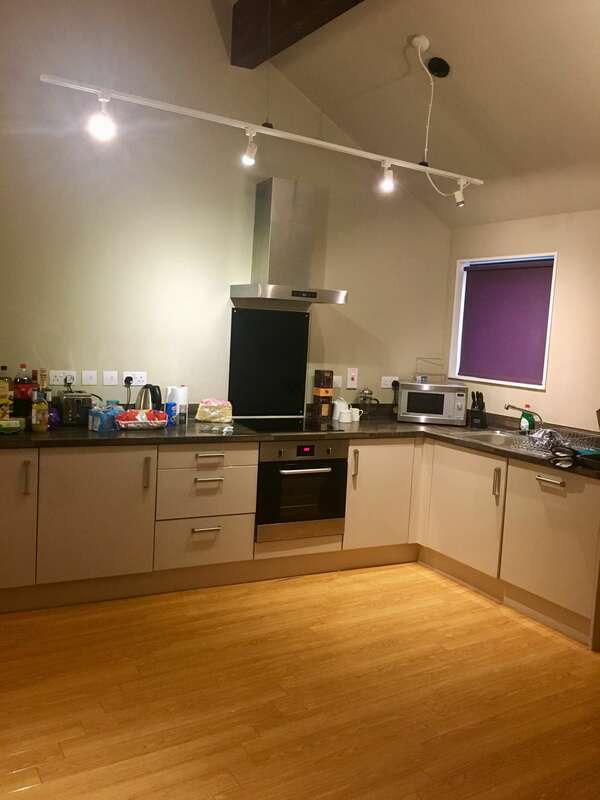 I’m sure they’re probably sick of this comparison but Bluestone is very much like Centerparcs – holiday lodges in acres of countryside with access to some great facilities. They offer four night stays in the week and weekend stays and it’s car-free on the resort except for changeover days. There are several different types of cabin available to stay in depending on the size of your family. 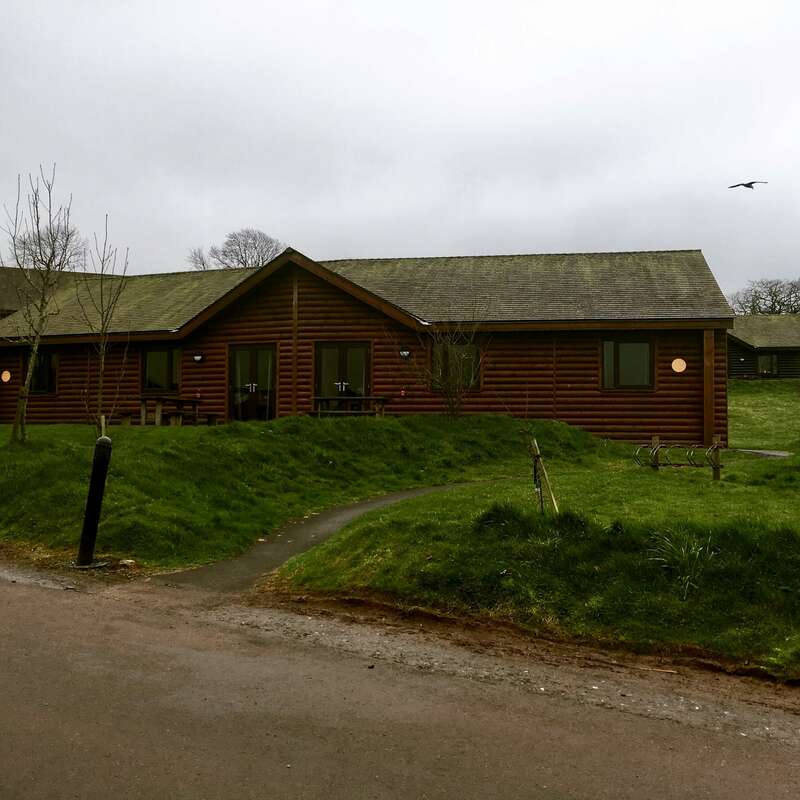 We stayed in the Caldey Lodge which had two bedrooms and enough room for four people – so really perfect for small families. The lounge, kitchen and dining room was all open plan and it had a patio with a picnic table outside which would be perfect for enjoying sandwiches on in the summer. One of my favourite sayings on holiday is “well, you don’t spend any time in your room” BUT we loved our little lodge so much that we actually hung out there quite a lot! We brought our own wine with us and watched TV, played cards and just chatted, it was so relaxing, cosy and just all round lovely. The Village was purpose built for the resort but it has a really authentic feel, like an old town. The cottages situated here are all pastel colours and there are pubs and restaurants to try out. There’s also a village shop where you can stock up on essentials and the booking office where staff are on hand to help you during your stay. There’s even an adventure playground for the kids and another playground that was in the process of being built. Ok, so despite there being plenty of provisions for activities at Bluestone Wales, we were actually really lazy for the entire week! We went on lots of long walks in the woods and fields around the accommodation which were really nice but we actually didn’t even leave the resort, despite Bluestone Wales being situated in the beautiful Pembrokeshire National Park, surrounded by more beautiful countryside and amazing beaches. 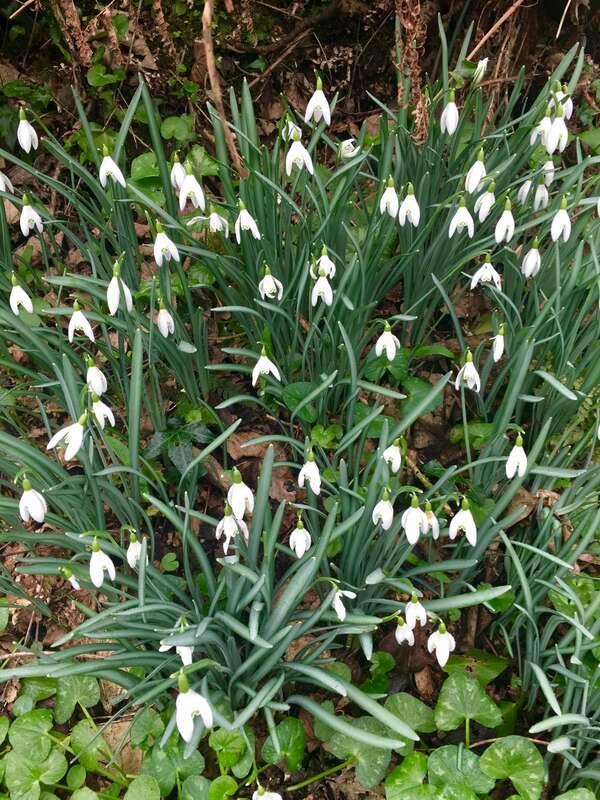 In spring the woods are full of bluebells but when we were there the snowdrops were just finishing. 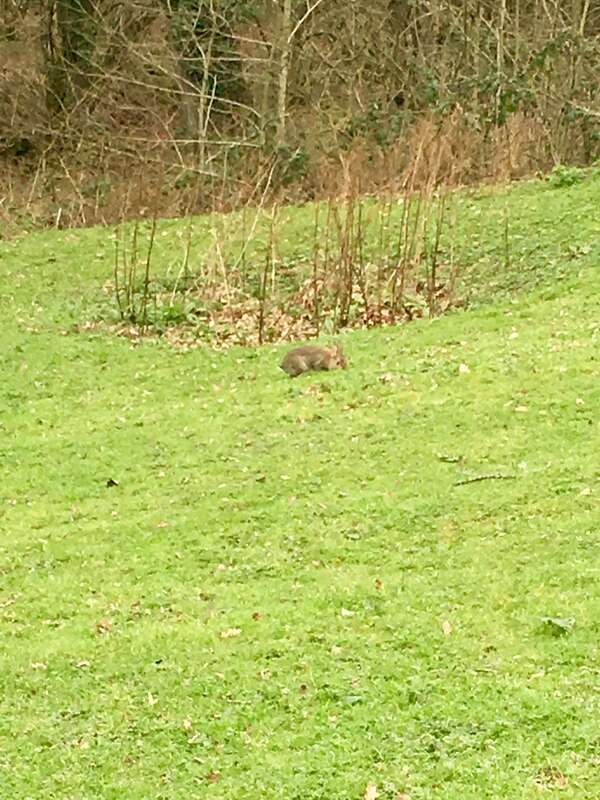 We also spent plenty of time spotting wildlife like rabbits – there are so many! – and frogs in the lake. The swimming pool is so much fun – there’s a lazy river and a wave machine which comes on every 20 minutes with a whistle warning so not-so-confident swimmers can get out of the pool in time. There’s an area where you can swim lengths if you really want to and a (sort of) secret jacuzzi outside. There are also plenty of waterslides to keep kids (and big kids!) entertained. We didn’t take part in any of the bookable activities but there is archery, a high ropes course and kayaking, plus plenty of activities for kids which change with the seasons. There are also bikes to hire or golf buggies if you don’t fancy walking round the resort but we found it wasn’t too far/strenuous to walk around. 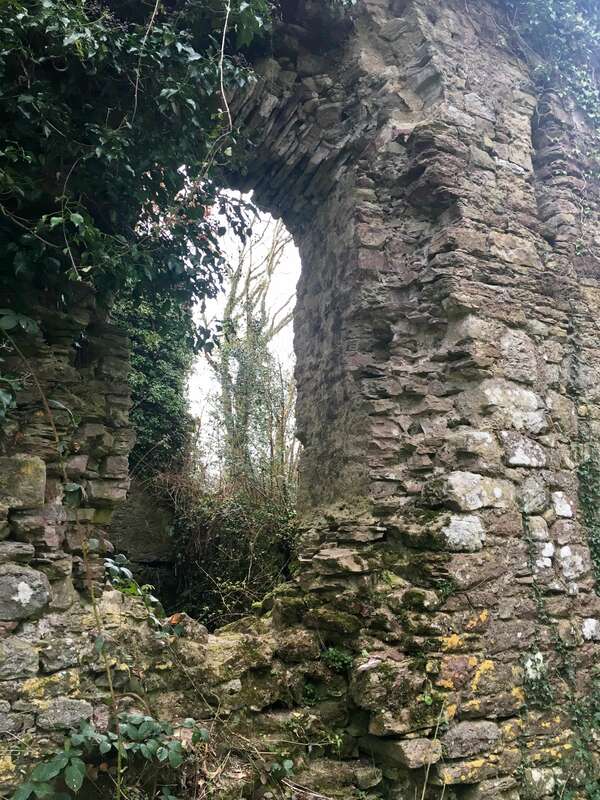 On our last full day we took part in a free history walk where we found out more about the history of the resort and the history of the land where there is a ruined castle and church. We’re both really into history and sight-seeing so we really enjoyed this. The guide was super-knowledgeable and you could tell he was really into it which was great. There was also a Light Thingy (that’s actually what it’s called!) 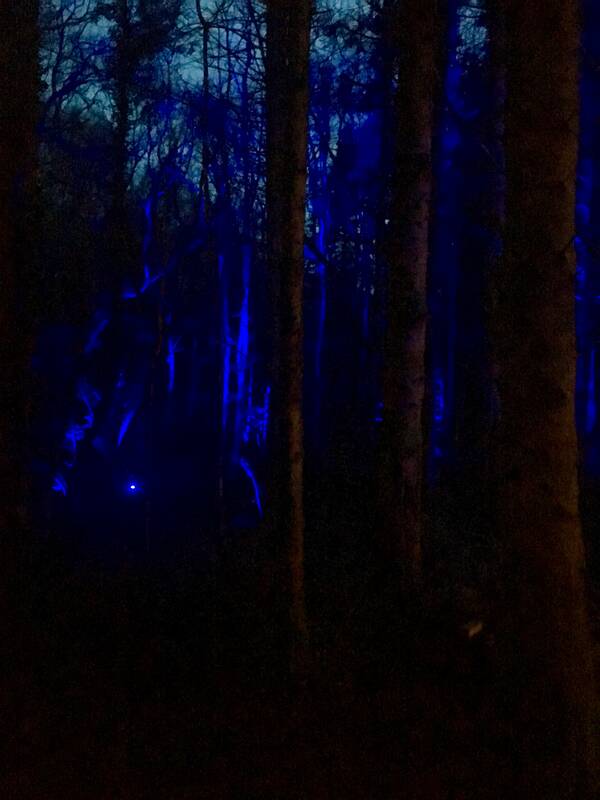 where there’s a little walk through the woods which are illuminated with scenes that are all lit up – this was really magical, there was even a little fairy village with teeny tiny little doors – so cute! On our last night we also entered the free pub quiz which was a good laugh and had all the usual music and general knowledge rounds. We even came second! We mostly self-catered during the week, we went for a big shop at Tesco on the way down to Wales and stocked up on sandwich bits for lunch and some pasta, curries and jacket potatoes for our dinners – plus plenty of alcohol for night times! We did think the fridge was a little small if there were four people staying in the cabin. 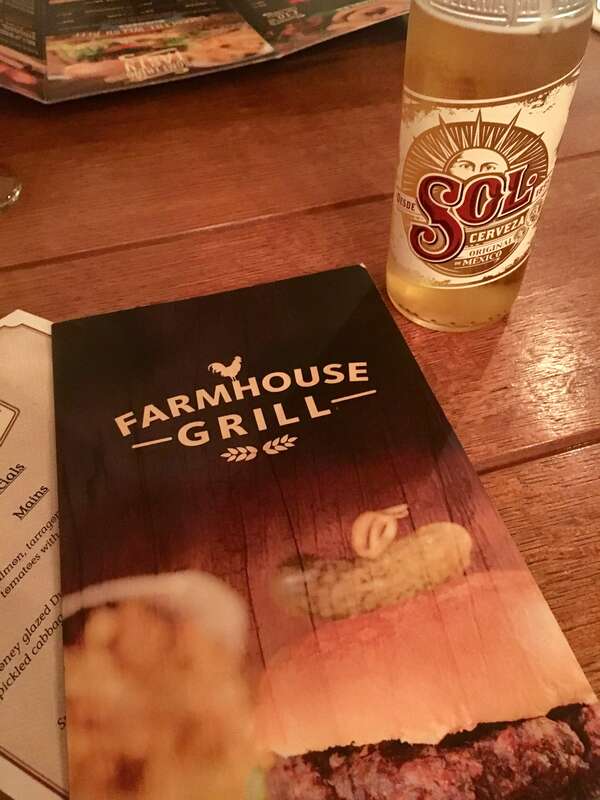 We did eat out one night at the Farmhouse Grill which was pretty reasonably priced and good quality pub-type food. 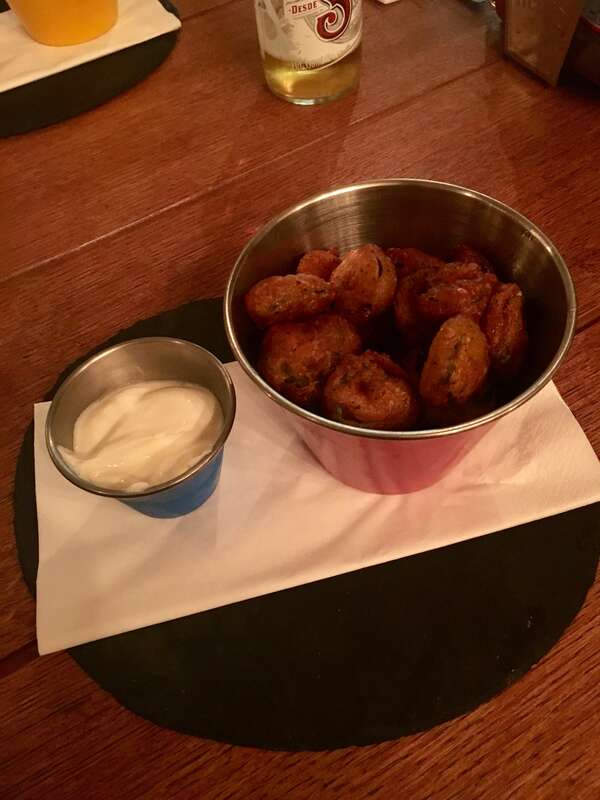 We had deep fried jalapenos followed by burgers which were huge and really delicious. 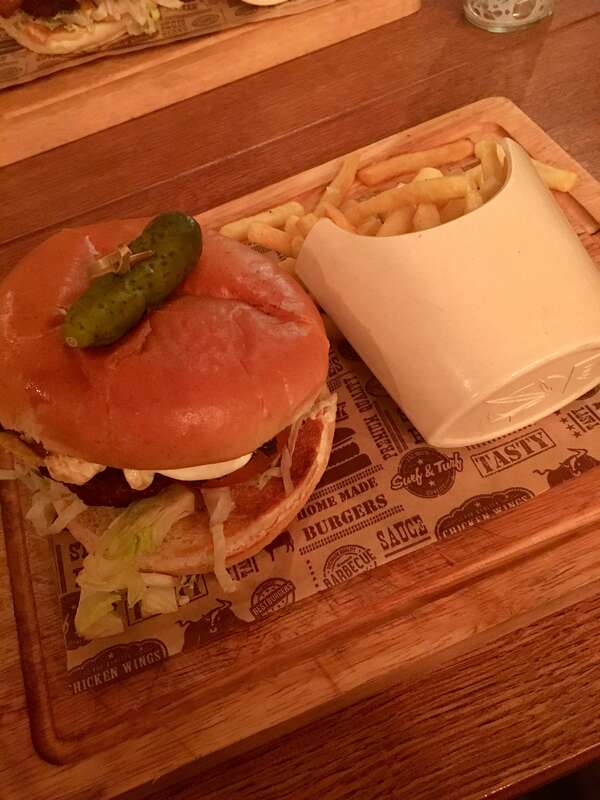 The atmosphere in the grill was relaxed and the staff were super friendly. There were pretty much NO BAD POINTS during our stay, we absolutely loved our stay more than anything. On check in, it was really busy and we were sat queuing in the car for about 20 minutes which was a bit difficult after a five hour drive but nothing we couldn’t handle. It also would be great if they did allow you to bring dogs as we would have loved to bring Alfie with us but I totally understand why they’re not dog-friendly, as not everyone loves dogs as much as we do! Obviously this holiday is absolutely perfect for families and children (which we don’t have!) but it was still really enjoyable for a couple and, as we visited in term time, we didn’t feel overrun by kids. 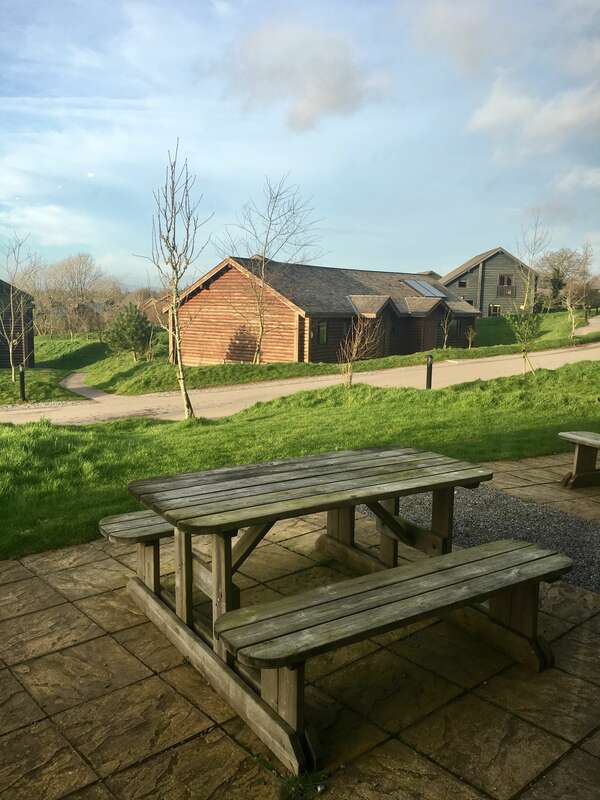 We had an amazing holiday at Bluestone Wales – it was relaxing, great to get outside and get some exercise, and easy – the perfect staycation. 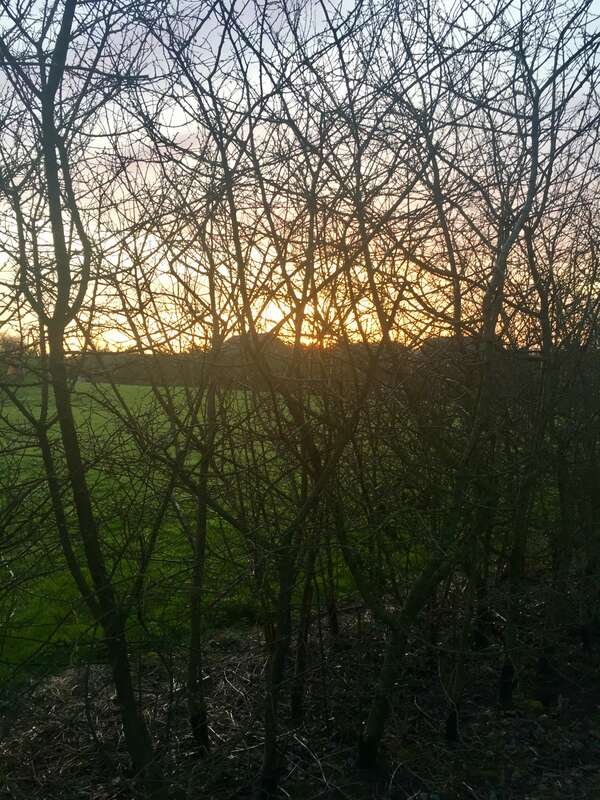 We got plenty of fresh air during our stay and left Bluestone Wales feeling healthy and refreshed. Find out more and book your own stay at Bluestone Wales here.